O’Connell Girl … Happy St. Pat’s Day! When I was growing up along with my four sisters we were often referred to as “The O’Connell Girls.” Growing up with an Irish father and an Italian mother was our natural heritage. Both sides were very proud of their roots. The Italian side of our family was bigger and louder and more readily available to us when we grew up. Back then and to them being Italian meant everything! Unlike our society today where cultures are so easily blended my grandfather would have preferred that his daughter, my mother not just marry an Italian but an Italian Catholic. Oh how the world has changed. It wasn’t until after my father left home and began his new family that I witnessed his pride in being Irish. I had gone to visit him, I was teenaged and I was happily shocked how well decorated his home was for St. Patrick’s Day. There were shamrocks and green decorations all throughout his home. If I never knew it before I knew then just how proud and happy he was to be Irish! With a name like O’Connell I wasn’t going to fool anyone or be able to deny my heritage even if I had wanted to deny it, clearly we were an Irish Catholic family. I was always proud of my heritage, I often said, “I am Irish and Italian and I have the temper to prove it.” Today I might modify “temper” with the word “passion.” Both Irish and Italians are known for their passion, their spirit and their pride. I certainly have mine. St. Patrick was the patron Saint of Ireland, although it is said that he came from Britain. He had several messages he believed came from God and ultimately he became an ordained priest. It was through his own struggles and adversity that he came to be a religious man. When Irish eyes are smiling, sure tis like a morn in spring. In the lilt of Irish laughter you can hear the angels sing. When Irish hearts are happy all the world seems bright and gay, and when Irish eyes are smiling, sure, they steal your heart away.” – Chauncey Olcott and George Graff, Jr.
I’ve been to Chicago when they turn the river green and I shared my share of green beer and Irish whiskey but the one tradition that sticks for every single year is a pot on the stove with corned beef, potatoes and cabbage. Right now, I can smell it cooking as I write this blog. One of the great things about St. Patrick’s day celebrations are the parades and clovers and shamrocks and the luck and spirit of the Irish that goes along with it, and on this holiday we can all wear our green (the color of health) and we can all enjoy the spirit of the Irish because there is nothing better than when Irish eyes are smiling. 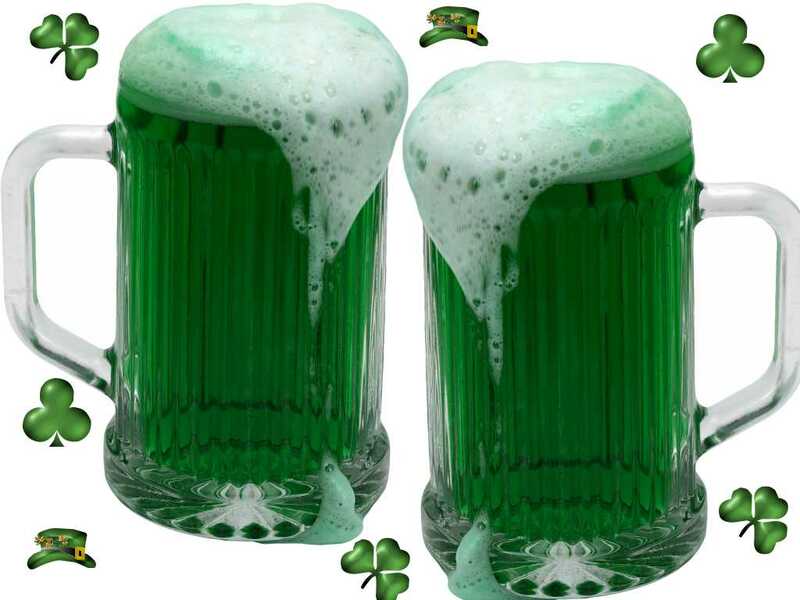 Celebrate wisely and Happy St. Patrick’s Day, now pass the beer, and the corned beef and cabbage please … And may the luck of the Irish be with you too! Happy St. Patrick’s Day Teresa!